Here are some general rules to follow when looking at vinyl siding pricing. The prices of vinyl siding generally reflect the thickness of the siding. The thicker the vinyl siding, the better the grade and of course the more it costs. Manufacturing companies generally rate their products from economy grade to ultra-premium. These grades generally run about $3 per square foot to over $10 per square foot for the premium brands. Like all products there are economy versions and premium versions of the product. More expensive products look better, last longer and generally require less maintenance. Same with vinyl siding. Some of the premium brands have lifetime warranties and can stand up to hurricane force winds. These prices are for comparisons only, many things affect pricing at different times of the year, geographic locations and supply and demand of the products and contractors. It is important to shop around and compare different products and different manufacturers. For a little more money you can buy premium grades of vinyl siding that are 1" thick and will protect against the harshest weather including hurricane force winds. You can get insulated vinyl siding that has built in insulation that will keep the northern winter winds away or the hot coastal summers. Whatever you want there is a vinyl siding that will meet your budget. Back to vinyl siding Prices..
Back to home page Vinyl Siding..
How many stories does your house have, the bigger the house the more work to install the siding especially on second and third stories. Why Is Thicker Vinyl Siding Better? Thicker vinyl siding will generally hold it's color longer with less fading. The thicker vinyl is also more rigid, holding its shape better and longer. It is more impact resistance also. Thicker vinyl siding hides wall imperfections better than thinner panels. Also adds flexibility and is more impact resistance. This is especially good in areas where weather can be harsh with hail and snow or high winds. Thicker siding has a deeper texture than thinner sidings making it look more like real wood. Click here to see a brochure for Certainteed Cedar Impressions Perfection Shingles. This is one of the thickest and most durable sidings on the market. The ideal siding for areas where high wind, sun, rain and harsh storms cause problems. Why Make a quick budget? The first step to planning your new vinyl siding job is to make a general budget. Once you know approximately how much money you are willing to spend on the project, you can work toward that goal. If the budget is a concern, you may want to choose a less expensive siding with little or no add-on's. If budget is not a concern, you may want to choose the premium brand insulated sidings with lots of add-on's. You should always choose the best grade of siding that your budget will allow. Better grades of siding last longer, look better and come in more colors. Better grades of vinyl siding also have better warranties. They hold up to harsh weather better and longer. The reason for the budget is so you can buy the very best vinyl siding that fits your particular budget. A good first start is to just measure your exterior walls and come up with the square footage and multiply the square footage by the cost of the siding. A good first start is to just go out side and measure your exterior walls and come up with the square footage. Then multiply the square footage by the price of the siding. Now you have a rough dollar amount that you can can start to work with. Click here to see How To Measure Your House For Square Footage. Here are some basic prices used as examples only. Time of year, geographic region and supply with affect the prices at any given time. RigidForm 220 Technology tested to withstand wind load pressures up to 220 mph. Usually includes trim and accessories and Tyvek Home Wrap. This price is for one story homes only. Keep in mind that when you are talking about vinyl siding pricing you are talking about the price of the vinyl siding only, not the costs associated with installing vinyl siding onto your house. Vinyl siding pricing is just the first step in determining actual costs of installing it on your house. For more information on some of the other costs of having vinyl siding installed on your home, click here. 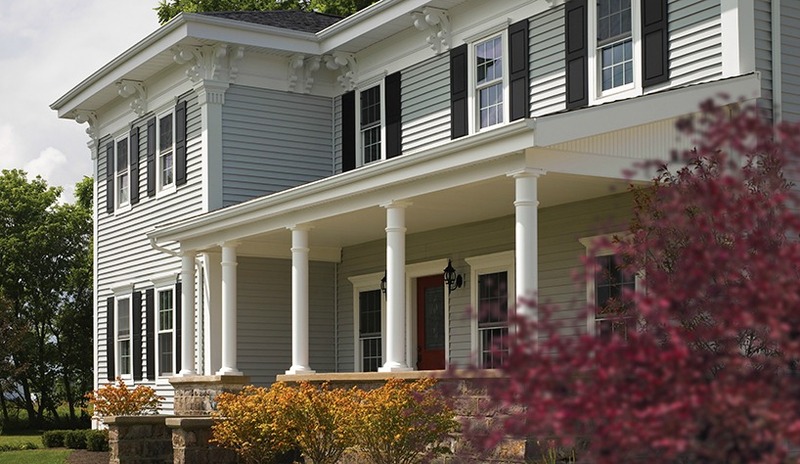 Share your story, tip, or suggestions on where and how to get prices on vinyl siding. Where did you go to get the best prices. Was it easy or was it a lot of trouble. Tell us about your experience. And don't forget to add a picture or two if you have them..